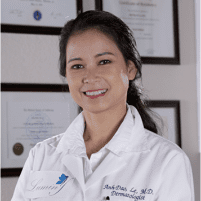 Melasma can be a frustrating problem for Garden Grove, CA residents who have darker skin tones. 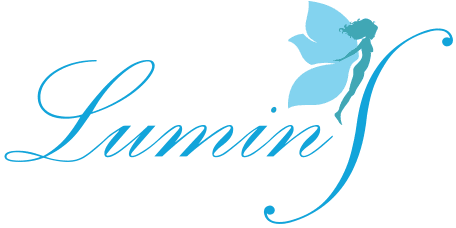 At LuminS Skin & Body Rejuvenation Center, Dr. Le offers specialized melasma treatment based on the individual patient, especially Asian and Hispanic descents. Melasma is a skin problem that causes discoloration on some areas of the face, especially the areas exposed to the sun. Melasma is extremely common, and it can be treated by an aesthetic dermatologist. Which Areas Does Melasma Occur In? The most common areas for melasma are the cheeks, the forehead area, the nose, and the top lip. However, it can appear anywhere on the body, especially in areas that get significant sun exposure. Many Asian people suffer from melasma, and Dr. Le specializes in treating this issue. While it is particularly common in Asian skin, nearly anyone can suffer from melasma. How do Sun Damage and Melasma Differ? Sun damage typically occurs in a random pattern, and the edges of the sunspots are not clearly defined. Melasma tends to be quite symmetrical and has highly defined edges. Melasma also tends to occur in bigger patches, while sun damage usually occurs in smaller spots. The cause of melasma is not definitively known at this time. When the body has excessive amounts of Vascular Endothelial Growth Factor (VEGF,) it triggers an overproduction of melanin. This melanin overproduction, in turn, makes the melasma appear. While it is not completely certain what causes the body to have the excess VEGF that leads to melasma, there are several common triggers. Sun exposure is one of the most common melasma triggers. Hormonal changes are another common cause of melasma, and it is often seen in pregnant women. Some medications, for example birth control or other hormone medicines, may trigger melasma. How is Melasma Treatment Done? A Dual Yellow laser sends light deep within the skin so it can reduce the VEGF without causing damage to the rest of the skin. The yellow light laser, when used in combination with specialized FEM technology, allows for lasting results. This approach is sometimes called a "soft" laser because it avoids damage to the skin and has minimal side effects. Our doctors may employ other advanced laser technology (Pico Genesis laser or Limelight IPL Laser) in combination with the Dual Yellow laser for optimum results. The processes to help our patients have clearer skin are highly individualized, which will be discussed in depth with our patients.